I can help you with living with a long-term health condition. Health psychology is a specialist area of psychology that works with you to find the best way to cope with your condition. We will work together to manage your flare-ups, cope with your pain, help to communicate your needs and reduce the anxiety and low mood you may experience from time to time. When you feel better able to cope with your condition, you will get more out of life, you will enjoy the good days and find effective ways for you to cope with the challenges when they arise. Specialist support is now available for you if you are going through chemotherapy, struggling with needle phobia, fear the side effects of treatments you are having or looking for palliative care. Health Psychologist and Clinical Hypnotherapist registered with the HCPC and AfSFH bringing you solution-focused hypnotherapy to safely and effectively address your worries and concerns. Treatments incorporate techniques based in Cognitive Behavioural Therapy (CBT), Mindfulness and Motivational Interviewing alongside the therapeutic use of hypnosis to provide treatment tailored to you. All treatment offered in a warm, private setting with plenty of free parking. HOME VISITS MAY BE AVAILABLE, please telephone to enquire. Please phone the clinic if you do not receive a reply to your request to meet with me, sometimes the emails/our replies to you go to spam! 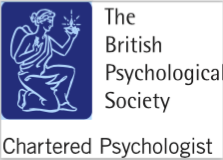 Chartered Psychologist and Associate Fellow of the British Psychological Society, offering nearly 20 years experience as a health psychologist. 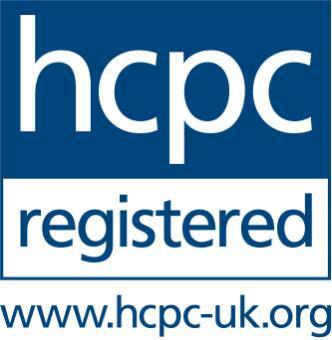 Registered Practitioner (Health Psychologist) with the Health and Care Professions Council. PhD (Developmental Health Psychology), awarded by the University of Southampton, 2002. Initial Consultation - we will work out why you feel the way you do, what you want to achieve and how we can go about it. £70 for an hour and a half. £70 per subsequent 50 minute session. £150 one-off fee for smoking cessation. All this takes place in a restful setting. Each session is typically 50 minutes and we would expect to work with you for around 8-12 sessions. There is plenty of free parking. HOME VISITS ARE AVAILABLE, please telephone to enquire. Research that I am conducting in collaboration with the Clifton Practice is demonstrating the effectiveness of solution-focused hypnotherapy in stimulating brain activity, in particular, alpha and theta brain waves. Alpha is associated with relaxation and calming, creativity and problem-solving, reduction of anxiety and stress, an improved immune system and illness response, and is a natural way to reduce low mood as alpha waves stimulate the production of serotonin. Theta is associated with positive emotional experiences, intuition and enhanced creativity and problem solving which enables you to connect with your subconscious, allowing you to 're-programme' your brain with ideas and beliefs that you truly want to believe. People who regularly use trance and meditation have higher levels of theta and alpha. Increased alpha is associated with immediate improvements in stress and anxiety by up to 20% and improvements in low mood. Increased alpha is associated with a reduction in pain and discomfort in 18 out of 20 people in a surgical setting.? Increased theta is associated with a deeper emotional connection to other people, the ability to focus and learn new skills. Saturdays 09:00am - 13:00pm. Home visits available. Please phone the clinic if you do not receive a reply.